New charts, graphs, and maps are available online! Last fall, Sheps Health Workforce NC launched a new blog and Twitter feed (@WorkforceNC) to share research findings, charts, and data in an engaging and digestible format. The blog features charts, graphics, and maps with a few bullets to summarize key messages. 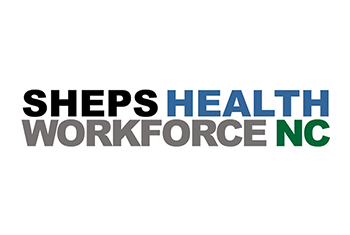 The blog is a way for Sheps Health Workforce NC to add to the conversation about health workforce issues under discussion in state government, in the health care sector, and the news. Sheps Health Workforce NC is part of the Cecil G. Sheps Center for Health Services Research at UNC-Chapel Hill and the home of the North Carolina Health Professions Data System (HPDS). The HPDS is the oldest, continuously maintained state health workforce data system in the United States, with annual data on 19 different health professions for each year from 1979 to the present. 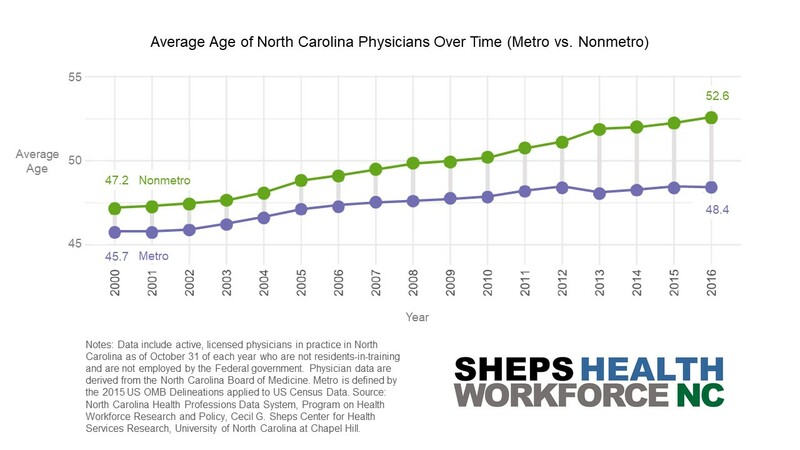 In addition to maintaining the data system, Sheps Health Workforce NC provides timely, objective data and analyses to inform health workforce policy for the state of North Carolina. The HPDS is a collaboration between participating health professional licensing boards, the Sheps Center, and the NC Area Health Education Centers Program (NC AHEC). For more information, please contact nchealthworkforce@unc.edu.